Divine Charter chooses two Bitimec 626-EZ’s for their new Los Angeles and San Francisco locations. 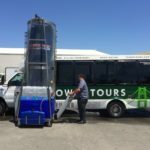 These machines are a great solution Minibus Wash. Based in Phoenix, AZ and operating for over 25 years, Divine Charter recently started to expand their tour and charter service to major west coast cities including Los Angeles, San Diego, San Francisco and Las Vegas. 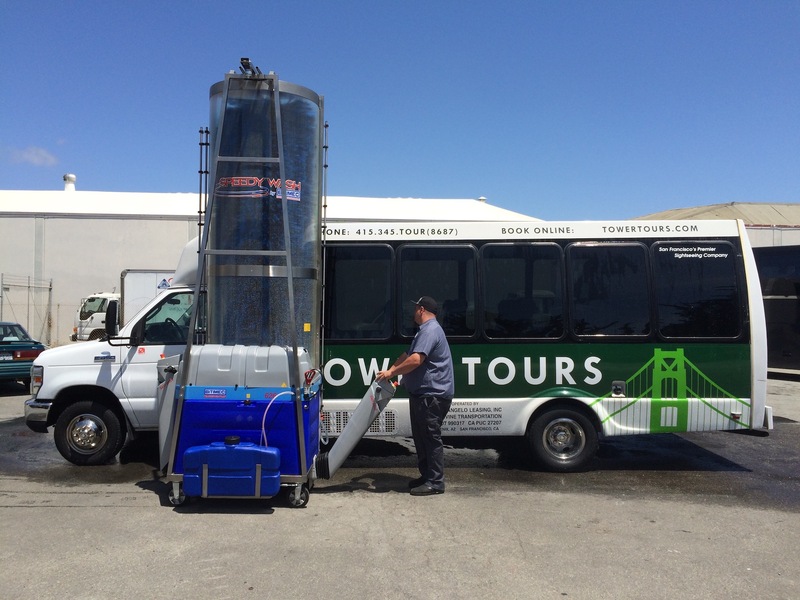 Operating a large portion of their fleet in California, they needed a quick wash solution for their buses. Our new Brush Only Incline Mechanism allows you to follow the curves of any vehicles in your fleet. Divine Charter selected 2 626-EZ bus washers, which are self-contained power brushes on wheels, able to soap, wash and rinse a coach in as little as minutes.These machines are a great solution for Minibus Wash & Bus Wash. With our Bitimec Wash-Bots Model 626-EZ we designed the most advanced self-contained mobile truck wash system on the market today. Double controls allow the machine to work in two directions, reducing wash time to 6-8 minutes per bus. Bitimec Bus Wash Systems occupy less than 15 sq. ft. of floor space and drastically reduces the unit cost for washing large vehicles using minimal water and detergent. Follows us on our social media pages below. Also, check out our Wash-Bots YouTube channel to see our machines at work.